On our recent trip to Kauai, we had a bit of time to kill while waiting for our room to open up, and I’d always been intrigued by the signs that read, “Spouting Horn This Way.” What a better time to take a detour and visit the famed site?! I have to say: Spouting Horn was worth the detour, and I can think of at least three good reasons why — here they are! 1. Who DOESN’T love a good blowhole? After enjoying the Halona Blowhole on Oahu, I was wondering how spectacular Spouting Horn would be. If it wasn’t QUITE as spectacular, the site was still far from a disappointment. Even though we happened to visit on a day when the surf wasn’t high, when we did get the opportunity to see the giant plume of water burst from the lava, it was quite a show! Beyond the “main” blowhole, there are lots of smaller lava tubes that showcase bursting water, and those are fun to predict and watch, too. Bottom line: The blowhole is hit-and-miss, depending on the surf, but still worth a visit. 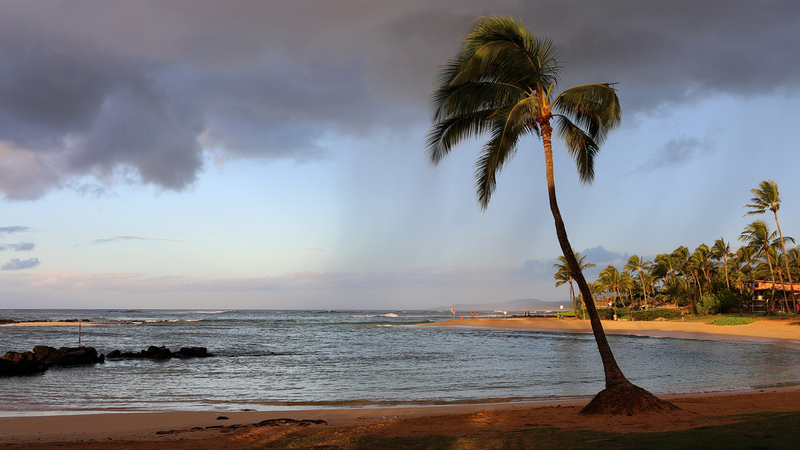 Spouting Horn is located just minutes from one of Kauai's best beaches, Poipu Beach. 2. The shopping plaza: When we paid a visit to Spouting Horn in Hawaii, my kids had just gotten their allowance — which meant the money was burning a hole in their pockets! So, it was with great pleasure that they strolled through the shops at Spouting Horn, where you can find all sorts of souvenirs and trinkets. Most of the items SEEMED made in Hawaii, but one never knows for sure. Best to ask, if you can. One piece of advice? Get the item you want when you see it. My son had his heart set on a shark jaw, and we decided to postpone buying it. But, when we returned five days later, it was gone. 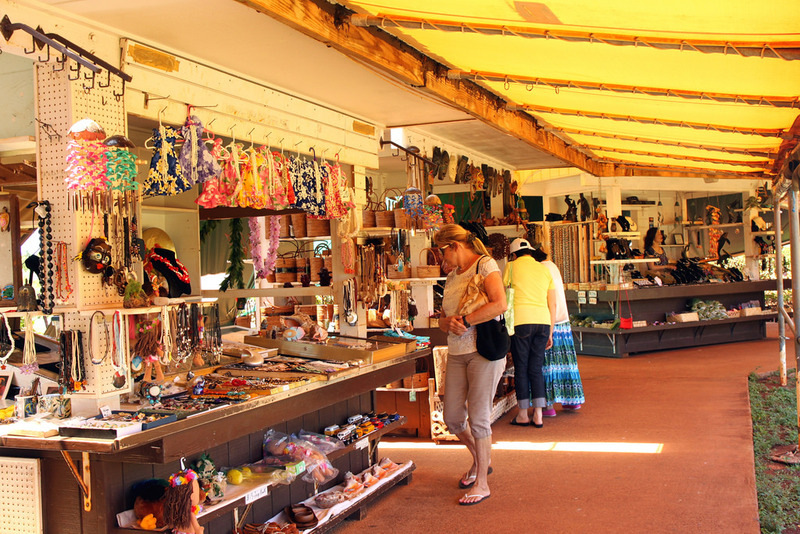 A small outdoor market located at Spouting Horn is a treasure trove for finding unique Kauai gifts. 3. The scenery: Whether you’re into blowholes or not, a visit to Spouting Horn is worth the detour, even if just for the scenery. Besides the hardened lava that creeps into the water below, visitors are treated to views of the shoreline that are expansive and beautiful. Sunset is a particularly beautiful time to visit. It’s also a great place to look at humpback whales, if it’s the right time of year, too. There’s ample parking as well. When you book a Kauai Jeep Tour, you can expect to stop at Spouting Horn in Hawaii. But, double-check with your guide to make sure it’s on your itinerary. You won’t want to miss-out on this fun and interesting site!